If you are asked to choose between the BlackBerry Key2 and the iPhone 8, which one will you pick? Many will quickly pick the iPhone 8 without a second thought in other to bear the popular rich kid name or a rich guy. I still can’t phantom reasons behind such popular belief. Well, the BlackBerry Key2 is equally a phone for the rich, because the handset falls in the same category with the iPhone 8. 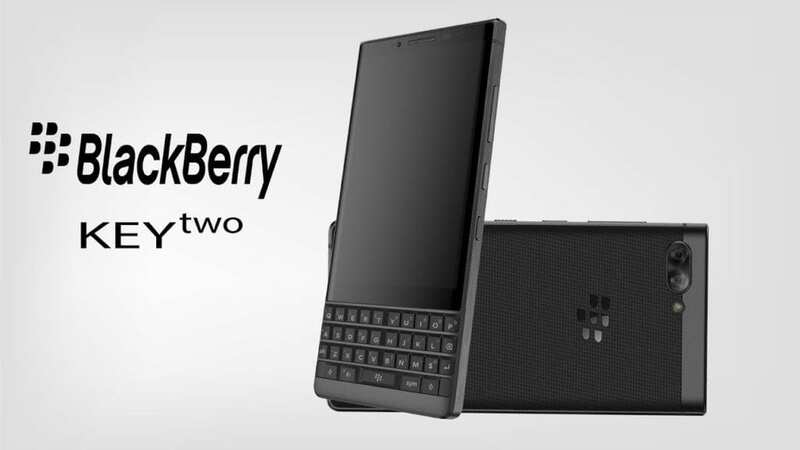 So in this post, we will be comparing the BlackBerry Key2 with the iPhone 8 smartphone. The BlackBerry Key2 is built with both Polycarbonate and Metal which is not bad. It measures 71.8 mm x 151.4 mm x 8.5 mm in dimensions and weighs 168 gram, available in Silver and Black colors. 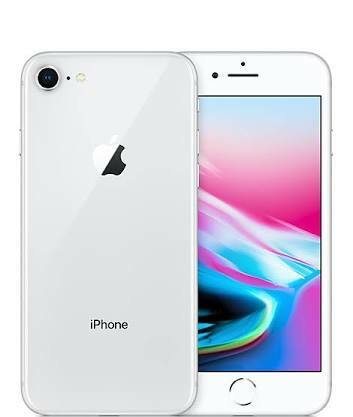 The iPhone 8 is Apple products, featuring a Glass and Stainless steel on the overall body. It measures 5.45 in x 2.65 in x 0.29 in and weighs 148 gram which is lighter than it’s rival. The iPhone 8 is available in multiple colors that include Silver, Gold, Jet Black, Gray and it has body protection. Both phones have a small screen size. The BlackBerry due to the iconic keyboards on the front has 4.5 inches FHD under IPS capacitive touchscreen with a screen resolution of 1620 x 1080 Pixels and 433 pixel per inch density. iPhone 8, on the other hand, has a screen size of 4.7 inches FHD which is small without any reason, except the big bezels that surround both the top and bottom with the single home button where the fingerprint scanner is hidden. The screen has a resolution of 750 x 1334 Pixels and 326 pixels per inch density which is below the one on KEY2. The BlackBerry Key2 will offer clears visibility and vivid colors than the iPhone 8 because they are both equipped with IPS capacitive touchscreen. They both have screen protector while the iPhone 8 has a higher screen to body ratio of 65%. The BlackBerry Key2 has a dual rear camera of 12 Megapixels + 12 Megapixels with dual LED flash and a front camera of 8 Megapixels with f/2.2 Aperture, and 1.120 µm Pixel Size features. iPhone 8 has a single lens on the back and front. The single rear camera of 12 Megapixels is small but mighty because it will shoot higher videos (4K) than the duo on BlackBerry Key2 smartphone. In addition to this is a Quad LED flash on the main camera and then another impressive front camera of 7 Megapixels with 32mm Focal Length, CMOS BSI Sensor f/2.2 Aperture, and 4K@60FPS Video recording. This front camera will also take beautiful selfies than the 8MP on its rival. The BlackBerry is an Android phone, so it’s powered by Qualcomm Snapdragon 660 MSM8976 Plus with an octa-core processor that clocked at 2.2GHz speed. iPhone 8, on the other hand, is iOS products and it’s powered by Apple A11 Chip which is one of the best chip from Apple. The Hexa-Core Apple processor on the inside is running at a speed of 2.38GHz with Apple three-core graphics. BlackBerry Key2 has 6GB of RAM with inbuilt storage of 64GB/128GB which is still expandable, while the iPhone 8 packs 2GB of RAM with 64GB/256GB which is not expandable. 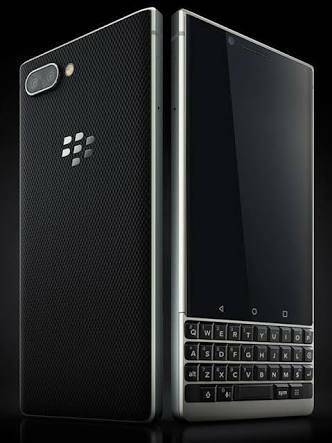 The BlackBerry Key2 has a nonremovable battery capacity of 3500mAh which promise to last up to 14 hours of talk time, while the nonremovable battery capacity of 2500mAh on the iPhone 8 promise to last up to 12 hours of talk time. Both phones support fast charging technology, however, it’s only the iPhone 8 that supports wireless charging technology. On the overall specifications, the iPhone 8 will slightly outperform the BlackBerry Key2 smartphone. On the price, the BlackBerry Key2 is selling at a price of 600 EUR, while the iPhone 8 starting price is 700 EUR.